How many times have your amazing jokes not been appreciated by the masses? Maybe your friends’ jokes are so bad, he needs his own booing section. 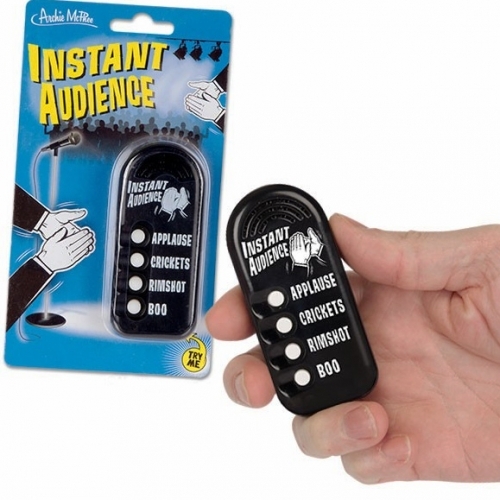 The Instant Audience is every impromptu comedian’s best friend. 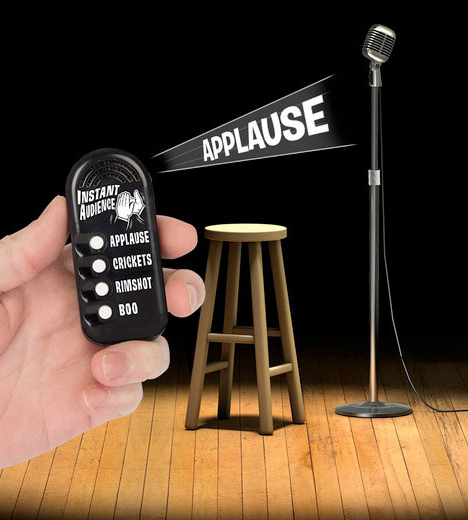 If that joke doesn’t go over well, then with a press of a button the room erupts into applause. Get a rimshot after every one line zinger and make your competition quiver as they listen to the sound of crickets chirping instead of uproarious laughter. The Instant Audience is your ticket to comedy gold or at least office cooler notoriety.